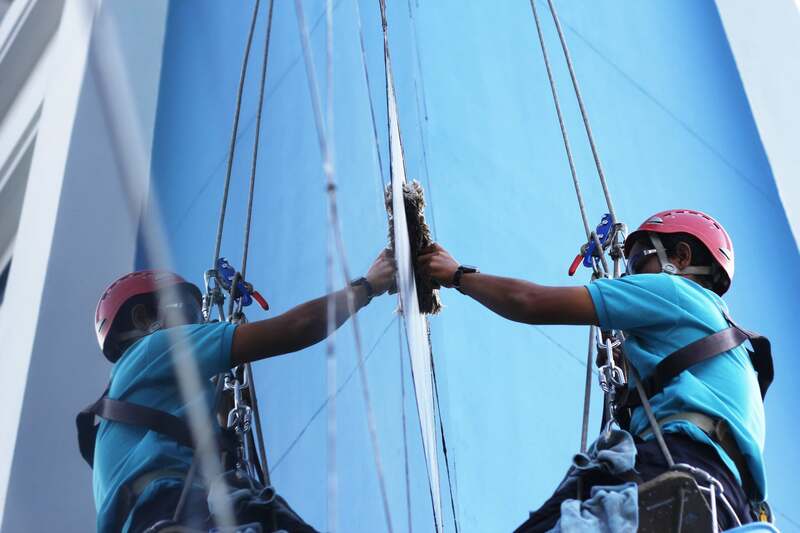 Springing Into Building Maintenance | Curchod & Co.
With the advent of more reliably warm and dry days (finally…) many organisations will be turning their attention to the condition of their building. Spring is the ideal time for commercial landlords to undertake a building health check and to assess any impact made by a cold and wet winter. At Curchod & Co we are proud to work with owners and landlords to provide the highest quality commercial properties to the market. Great properties are created through conscientious maintenance, and Spring is a great time to bring this up to date. Poorly maintained roofs can have an impact on many other elements of a building’s environment, so it is key to ensure the upkeep of this part of a commercial building. Winter is the season when a roof will take the most severe punishment so come Spring it is likely to require some TLC. Take note of signs both outside or inside the building such as bubbling, unexplained mould or watermarks. These all indicate issues which must be resolved before the next season of hard weather. Window maintenance stretches from mending the mechanics of locks and hinges to ensuring that the glass is clean and clear. Both of these make a difference. An uncleaned window will become glaringly apparent when sunshine makes an appearance. This has an enormous impact on the atmosphere of the building and the productivity of those workers within it. No commercial landlord wants their building to resemble a scene from the BBC’s Springwatch. The warmer weather will see any budding pest problems quickly spiral out of control. This can be disastrous to the business if the opportunity of leasing to an impromptu tenant arises or if you need to put a vacant property on the market. Perhaps your commercial property encompasses grounds and outside space. Any grassed areas or green zones are liable to get overgrown very quickly if neglected. Well tended grounds give visiting clients and prospective tenants the best initial impression before even entering the building. The best way to implement a Springtime maintenance programme is to take some time to plan the areas that need assessment and attention. Instead of trying to cover all areas at once, little and often will achieve the best results without affecting the use and potential productivity of an occupied space. Maintenance and refurbishment is an ideal time to incorporate sustainability projects to provide a better service for the tenant and add value to a commercial property. From ensuring you have energy efficient lights to having proper building insulation, the effective maintenance of your commercial building will be impacted for future years. Commercial landlords and building owners must ensure that their building complies with the correct building regulations. Sections of The Building Act 1984 concern structure, fire safety, ventilation, protection from falling, conservation of power, drainage and access. A Spring maintenance programme can serve as a checklist to prevent your building from contravening the Act. Even if a building is unoccupied, it is still imperative to undertake a Spring maintenance check. Issues such as damp or mould that would be easily identified in an occupied property can become troublesome if they go unnoticed. If spending time on maintaining a vacant property yourself feels frustrating, a commercial manager can manage this process on your behalf. At Curchod & Co we recognise that a Spring maintenance project can be a fantastic tool to keep a commercial property attractive to tenants. Our commercial property managers understand the ins and outs of building maintenance and easily manage this process on behalf of our clients. So we can help you to make Spring the most important season of the year for your property.